Bartley Consultants Ltd (BCL) is an Auckland based engineering consultancy that specialise in roading and general civil engineering projects. Bartley Consultants Ltd (BCL) is an Auckland based engineering consultancy that specialise in roading and general civil engineering projects. These projects include the design of new roads, road widenings, seal extensions, the rehabilitation design of road pavements for local Councils, Auckland Transport and NZTA and the design of heavy duty industrial pavements. In addition to this Bartley Consultants have in-house stormwater and flood mitigation design expertise. 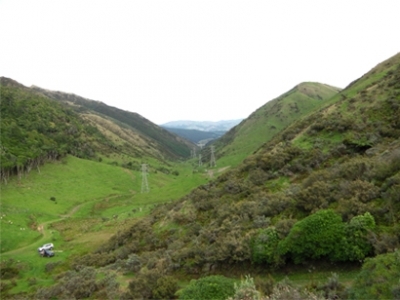 These projects have most recently included the design, consenting and implementation of large box culvert solutions to mitigate flooding on Great Barrier Island and stormwater treatment solutions for road runoff in the Beachlands area. Key relationships with other small to medium sized structural, planning and traffic consulting firms ensures that Bartley Consultants can successfully complete multi-discipline projects of all sizes. As a Company we are committed to providing services of the highest technical quality to our clients and look forward to working with you. Bartley Consultants is the New Zealand agent for the CIRCLY, HIPAVE and APSDS Pavement Analysis Computer software packages and provide software support for these programs. CIRCLY is the leading general purpose pavement design package in New Zealand and is an integral component of the AUSTROADS Pavement Design Guide. HIPAVE has been developed for the design of industrial pavements subjected to very heavy axle loads and APSDS is used for the design of airport pavements. Further information on these programs can be found on the Mincad website using the link below. If you have any queries regarding these software packages please contact..
Andrew Deakin directly on (09) 304-0363. 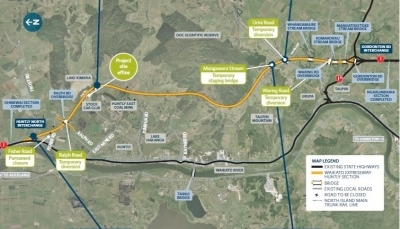 The Huntly section is the fifth section of the Waikato Expressway to start since 2009. This projects involves the construction of 27km of four-lane (two in each direction) median-divided motorway from MacKays to Linden (through Transmission Gully). © Copyright 2015 Bartley Consultants Ltd. All rights Reserved.